Dependency: 4M5 BMW Instrmnt Panel M+493/5AG/5AS/5DF. At least one item should be selected of the group: this option, 5AG Lane Change Warning , 5AS Driving Assistant , 5DF Active Cruise Control+Stop/Go Functn, 493 Extended Storage . Dependency: 6NS Enhanced Bluetooth Prep+USB+Vce Ctrl. This option can’t be selected with: ZNP Media Package-BMW Professional , 6WD Wi-Fi Hotspot Preparation . Dependency: 4M5 BMW Instrmnt Panel M+493/5AG/5AS/5DF. At least one item should be selected of the group: this option, ZAS Active Security Package , 5AS Driving Assistant , 5DF Active Cruise Control+Stop/Go Functn, 493 Extended Storage . Dependency: 4M5 BMW Instrmnt Panel M+493/5AG/5AS/5DF. At least one item should be selected of the group: this option, ZAS Active Security Package , 5AG Lane Change Warning , 5DF Active Cruise Control+Stop/Go Functn, 493 Extended Storage . Dependency: 4M5 BMW Instrmnt Panel M+493/5AG/5AS/5DF. At least one item should be selected of the group: this option, ZAS Active Security Package , 5AG Lane Change Warning , 5AS Driving Assistant , 493 Extended Storage . Dependency: 6NS Enhanced Bluetooth Prep+USB+Vce Ctrl. 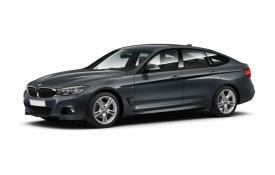 This option can’t be selected with: ZNP Media Package-BMW Professional , 6NW Enhanced Bluetooth+Wireless Charging. Dependency: 4M5 BMW Instrmnt Panel M+493/5AG/5AS/5DF. At least one item should be selected of the group: this option, ZAS Active Security Package , 5AG Lane Change Warning , 5AS Driving Assistant , 5DF Active Cruise Control+Stop/Go Functn. Dependency: 6NS Enhanced Bluetooth Prep+USB+Vce Ctrl. This option can’t be selected with: 6NW Enhanced Bluetooth+Wireless Charging, 6WD Wi-Fi Hotspot Preparation .